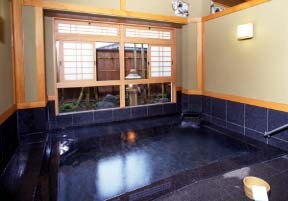 An authentic-Japanese-style Ryokan and here have very many local visitors, and come a meal and a bath here to a pleasure, you.Four guest rooms remodeled in Heisei 13 are feeling-of-purity enough structures individual to each.The Separate from main with an open-air bath "Yuraku-tei" completed in the summer of Heisei 2014 is a perfect Separate from main of the Asian mood which treated the bathtub of earthenware specially. 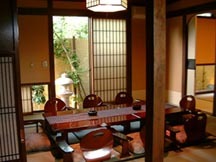 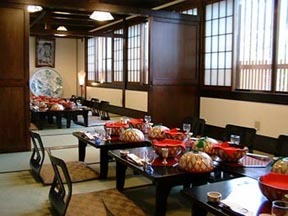 A guest room with an open-air bath "Yuraku-tei"
It obtains in a course dinner and a restaurant. 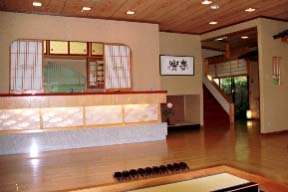 From the Chuo Line Matsumoto station, it is a taxi and is 15-minute and bus 20 minutes.